Oh man that’s hilarious:) A drug for a heroin addict with stomach problems, Pepcid methadone AD! Must have ended up with gas in his syringe. Poor guy. First Elvis mixes painkillers & jelly donuts, then MJ mixes nose (hand?) jobs & propofol …… don’t do it Lee! 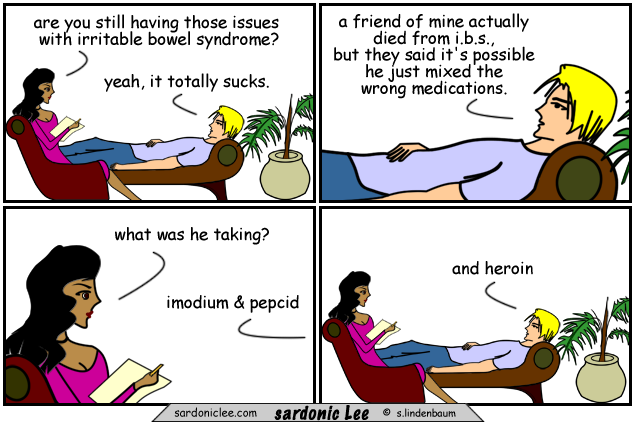 I always say, never mix your Pepcid with your heroin! For stomach issues, maybe try smoking a bowel too……..